A few weeks leading up to New Year’s Eve is always a struggle for most people. Usually you’re focused on the stress of the holiday season, but you also end up getting stressed about your New Year’s plans. Some people like to party, some would rather relax and spend a night away with some friends, and others want to try a whole new experience. This year we went for the latter and tried a whole new experience! Packing up our car with some friends and heading up to Riding Mountain National Park to enjoy the New Year’s festivities at Lakehouse. We booked an amazing suite at the Arrowhead Resort and spent the weekend snowshoeing, fatbiking and skating the lit up ice trails through the forest. Yes, that’s right… Lakehouse and Arrowhead are both open year round. Winter is an incredible time to visit the Park because you get to experience the area with a completely different point of view! The weekend was splendid and we didn’t think it could get any better until we arrived at the Lakehouse at 7pm on New Year’s Eve. With 250 people on the guest list, we realized very quickly just how much fun the night was going to be. 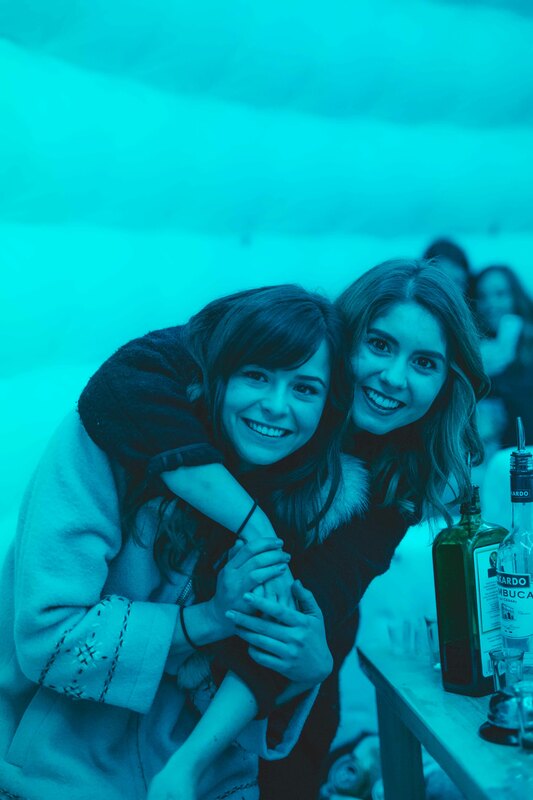 With three different bars set up, including a shot luge, an ice bar in a heated blow up igloo and multiple shot skis, we had no trouble getting drinks immediately. A little after 8pm, we were greeted by The Middle Coast Band who played multiple sets throughout the night. Did I mention the food? I was told there would be finger food but the Lakehouse surprised us all with an array of gourmet appetizers including smoked salmon crostini, homemade bread chips and hummus, pork tenderloin skewers, giant shrimp, fried Cornish hen and when the clock struck twelve, there was an entire pulled pork taco bar! The evening continued with lots of dancing and lots of good company, not to mention the mesmirizing ambience of the disco igloo. The Lakehouse attracted a truly wonderful crowd too, even though it was a packed house, it felt like just the right amount of people and you never felt out of place; something you don’t normally experience at big events like this. So this year, instead of scrambling at the last minute for New Year’s Eve plans, we suggest you plan waaaaay ahead and buy your tickets early to experience the spectacle of Lakehouse’s NYE bash! Tickets are available now ONLY to folks booking accommodations over New Year’s Eve at Lakehouse or Arrowhead Family Resort. 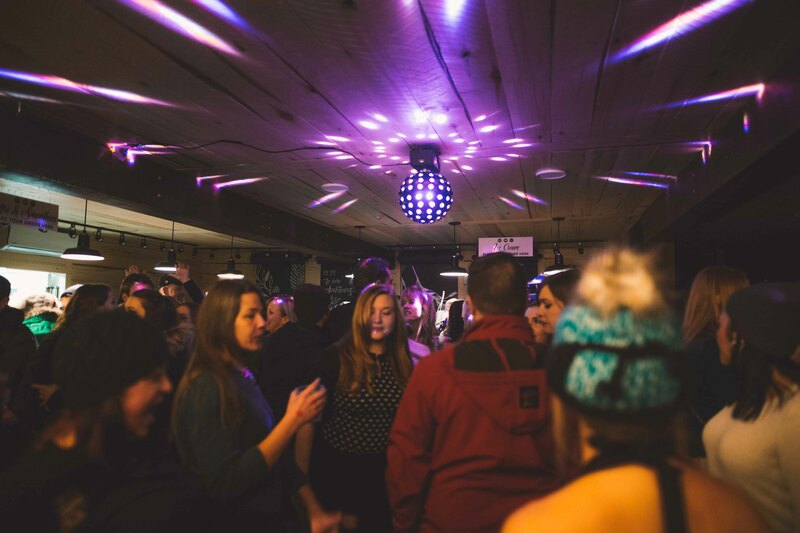 Visit www.staylakehouse.ca or www.stayarrowhead.ca to book your accommodations and Ice Bar Party Tickets now to avoid missing out on this always sold out event. Remaining tickets will go on sale to the public November 1st 2018…but no guarantees on availability. Trust us, you don’t want to miss out on the hottest party in the western Manitoba. To catch a glimpse of what this year’s party looked like, watch the video below.